CLICK HERE TO LEARN MORE ABOUT DIY! The X-Tend-A-WallTM extension sleeve was invented in 1995 and revolutionised the way in which pre-cast walls could be extended in height. There have been many methods and products used before the advent of X-Tend-A-WallTM	extension sleeves. These methods were effective in extending the height of a pre-cast wall, but looked unsightly and the processes involved were far from cost effective. 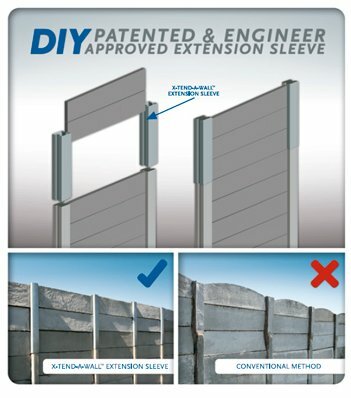 Mend A Wall has made the X-Tend-A-WallTM extension sleeve available to you, allowing you to extend your pre-cast wall yourself. This product is simple and easy-to-use and can be fitted by you at the fraction of the cost of getting it done professionally. 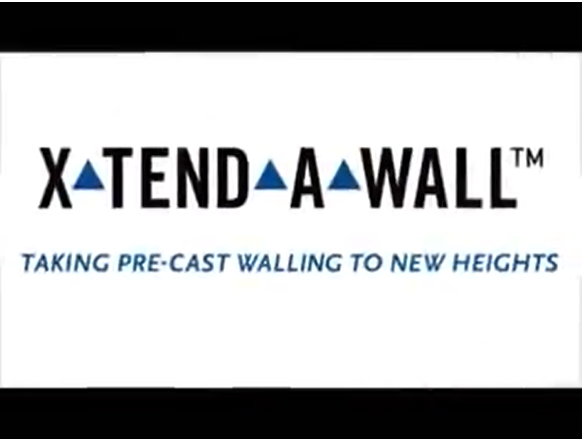 All you have to do is follow the step-by-step instruction guide to learn how to assemble and install your own pre-cast walling extension, as well as how to work with pre-cast slabs. CLICK HERE TO BUY AND DIY! CLICK HERE TO BUY AND LET US INSTALL!